Knives are about the most basic, and most essential, of tools. With a good knife, you can make other tools, break down wood for fire, clear paths, and a million other tasks. With proper care, a good knife will last a lifetime (or more, I have one that belonged to my great grandfather, that I still use to this day). Since knives are so simple, maintenance comes down to cleaning and sharpening. Wipe down the surface with a damp rag. Use a Q-tip or small bit of cloth to clear any lint, dust, or debris from nooks and crannies. Lightly oil any blades that aren't stainless or coated. Sharpening is also a lot easier than it looks, and I am forever surprised at the number of competent, capable adults that have no clue how to put an edge on a blade. So, here are my two favorite sharpening methods, along with a way NOT to sharpen a knife. Caveat: These instructions only cover the smooth portions of a blade. Serrations are a different animal, requiring tools and techniques that are different. The larger stone is the coarser of the two, and is where you start. Most kits come with oil, but if yours doesn't, a light machine oil or 3-in-1 works wonderfully. I've even used spit, in a pinch. Just don't hone dry, it makes for a terrible edge. Put a bit of oil on your stone, enough that your knife is picking up a small amount when you run it across the surface. Hold your knife at a 20-25 degree angle, and run your blade forward like you're taking a thin slice from the stone. Repeat this process on both sides of your blade until it is workably sharp. 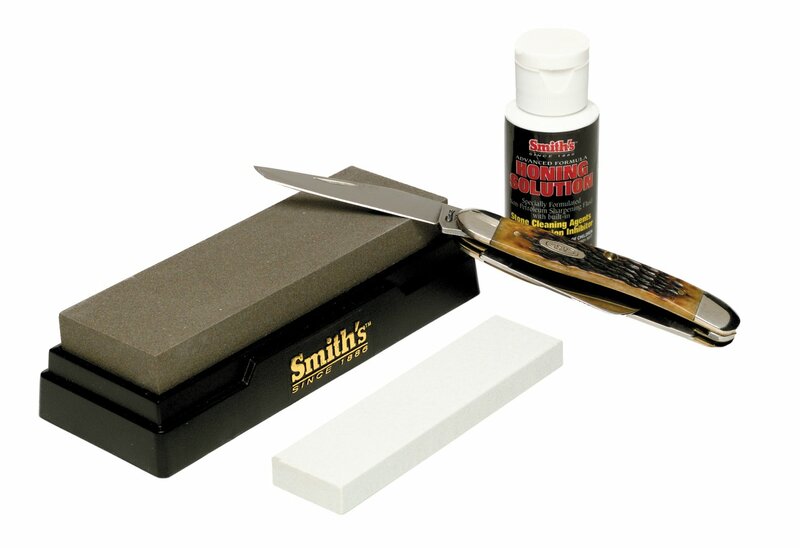 Repeat the process on your smaller, finer stone to put a finished edge on your blade. Wipe off any excess oil, and you're done. The Lansky system (by far my preferred method) is great for larger knives. Its' real weakness is that pen knives, Swiss Army knives, and the like won't fit well into the clamp. Any larger than that, though, and it's excellent. The clamp allows you to maintain consistent edge angles, and the variety of stones makes for a finer finished edge than a traditional stone. 17 degrees is for straight razors and their ilk. 25 degrees is for a chopping or all-purpose knife. 30 degrees is for large, hard-working knives (like carpet or wire cutters). The shallower angles have finer edges, but they require more frequent sharpening. Steeper angles are far more durable, at the cost of that razor hone. To use the Lansky, you clamp your knife blade into the aluminum vise, and use a progressively finer set of stones held at a consistent angle. The basic principle is the same as a standard stone, but the knife remains stationary, and there is no guesswork as to the angle. 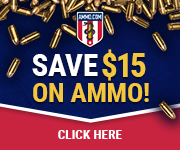 The process is significantly faster and produces a far better edge. The cost is a substantial price increase, as well as taking up far more space in a pack or BoB. 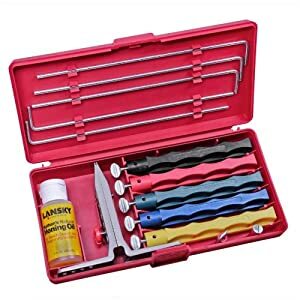 If you have the space in your kit and your wallet, the Lansky is well worth the investment. However, if you can only have one, traditional stones will never do you wrong. Finally, for the love of all that is good and holy, don't use a grinder to sharpen your knife. That's professional-level stuff, and if you learned anything from this article, you aren't that pro. Also, do not use files on knives. Files are great for axes and wedges, but they'll mess up a knife blade something fierce. "How do I convince my girlfriend I'm not crazy?"